Composed by Jamey Aebersold. Play-Along series with accompaniment CD. Jamey Aebersold Play-A-Long series. 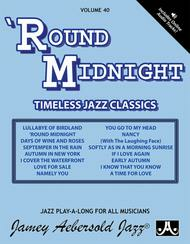 Offers a good variety from the haunting 'Round Midnight, to an often played Love For Sale. Book & 2 CDs. Published by Jamey Aebersold Jazz (JA.V40DS). All Levels. If you own one Classic jazz recording, there is a good chance it contains at least one of these songs. 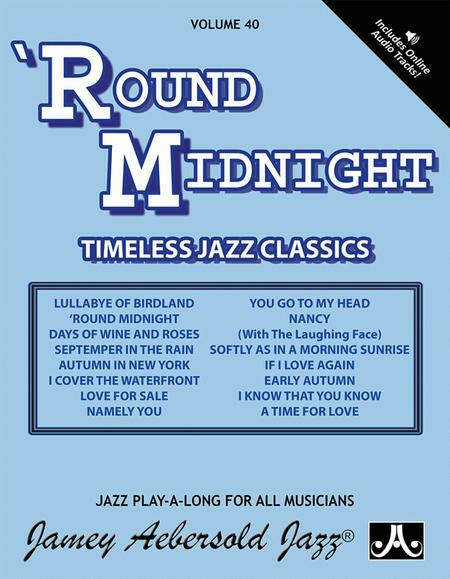 Offers a good variety of song types, from the beautiful, haunting 'Round Midnight, to the exciting and often played Love For Sale. Complimenting those are some of the best such as George Shearing, Johnny Mandel, and Henry Mancini. RHYTHM SECTION IS: Hal Galper, Piano; Steve Gilmore, Bass; Bill Goodwin, Drums.